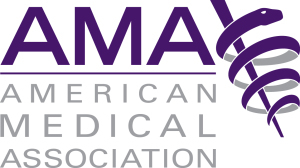 The AMA (American Medical Association) is calling for an overhaul of EHRs and has published 8 challenges that need to be overcome to be considered successful. What the AMA is really talking about is not just an EHR; they are addressing a way of approaching medicine that cannot possibly be incorporated into a single EHR system. Of course Interoperability and patient engagement must be addressed. People simply will not sure what is too difficult to figure out. And the ability to organize data in a way that makes analyzing the results for optimum diagnosis should be able to be performed without the provider spending too much time navigating through the structured contents. “Technology should fit seamlessly into the practice and be based on work flow needs.” Having worked with IT systems for years, I have never found a technology that fits seamlessly into workflow……in fact as a consultant; my mantra was quite the opposite. Determine how to change workflow to meet the IT structure. Every practice is different and every specialty has a unique workflow designed to handle specific scenarios that will facilitate patient care within that specialty. Find an EHR that fits into all those practices would have to be extremely flexible and with computer flexibility comes even more complexity. There is no question that physicians are frustrated with the EHR process; but instead of potentially slowing down that process (a political move, not a practical move) why doesn’t the AMA offer practical advice and consultant expertise to advise physicians how to successfully incorporate EHRs into their practices. It can be done and successfully with gains of physician productivity and patient-centric outcomes when the emphasis is placed correctly.